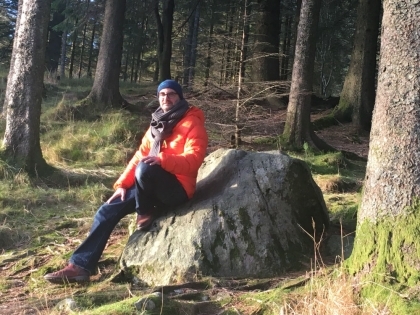 Magnetic North’s in-house educationalist, Dr Andrew Greenman, explains the background and learning aims of Nordic Outdoor Learning and how this is embedded into our Elements programme. WHAT IS NORDIC OUTDOOR LEARNING? The short answer is: self-development through friluftsliv, or what Norwegian writer, Ibsen, described as ‘time to think at leisure’. All great cultures value learning because it transports us from the everyday and provides opportunities to reflect, project and exchange ideas. As an educationalist, my privilege is creating learning spaces that prepare people to embrace future uncertainties and thrive in the face of complex and dynamic change. Our Elements programme will contribute to this process of self-development. Elements creates unique experiential learning that combines immersion in natural environments with Nordic pedagogy to create glød, or glow. Norwegian philosopher Arne Naess believed glød was vital for wellbeing and self-realisation. We share his view. Spending time with others in nature ignites an innate human joy of discovery, curiosity and wonder. Learning outside is a precious experience. It expands the spatial and temporal constraints that often limit learning. With no fixed goals, outcomes or distractions, Elements reclaims time to think, act and be at leisure. We are committed to learning that helps people transition from dependency to independence through experiential learning. Elements exists because we believe learning can and should be exciting and inspiring. Alfred North Whitehouse defined learning as being equipped to utilise knowledge in the present as the stream of events pour through our lives. We’d like Elements to enthuse, engage and equip young people for positive self-development, by creating learning spaces that generate the feeling of glød. Elements creates opportunities for positive development. Non-institutionalised learning is essential for personal growth and Elements achieves this through positive outdoor learning experiences. Elements encourages wellbeing through a healthy mind and body. Physical and mental wellbeing is vital for a happy and successful life. Elements provides experiences that encourage physical and mental wellbeing. Being in nature for extended periods has positive benefits which Elements uses to revitalise interconnectedness to natural environments. Elements develops curiosity and wonder. Outdoor experiences increase curiosity and wonder which help develop creativity and a tolerance to ambiguity. Elements generates these to help people achieve their potential. Learning should be challenging and exciting. An appropriate stretch can increase confidence to embrace uncertainty and thrive in new situations. Elements provides adventures that contribute to personal achievement. Elements is a transitional experience. The transition to independence is a critical one. Elements provides a safe space for young people to develop responsibility for one’s self and others. Spending time with others in nature is a key way to create lasting friendships and Elements helps by developing social learning in a natural and unforced way. Elements is more than activities. Learning occurs from doing activities but also emerges during quiet and contemplative moments. Elements provides both. Elements creates freedom for higher learning. Freedom is the highest and most elusive aim of learning. Elements creates the time and space for young people to feel, think and act freely. This is vital for developing imagination and positive personal growth. Andrew is a management educationalist who holds the roles of Director of Executive Education and Assistant Professor in Small Business and Entrepreneurship at Nottingham University Business School. Over the past 8 years Andrew has designed and delivered high impact learning experiences at all degree levels teaching thousands of students. Andrew has provided programme direction for executive clients including UK and international corporations and public organizations. His interests include entrepreneurship, growth and leadership. He previously worked as a research associate at Kingston Business School researching innovation in schools for NESTA. Andrew also spent 7 years in London working as a Senior Analyst for a US ICT consultancy.